Spend an extended period on the beach and something special is bound to happen. 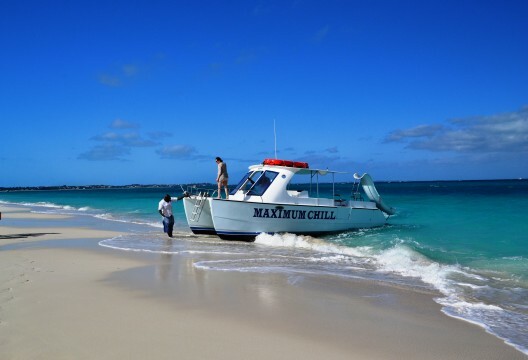 When walking or relaxing on Grace Bay Beach, one of the most stunning beaches in the world, you can bet that you’ll go home with a story worth telling. 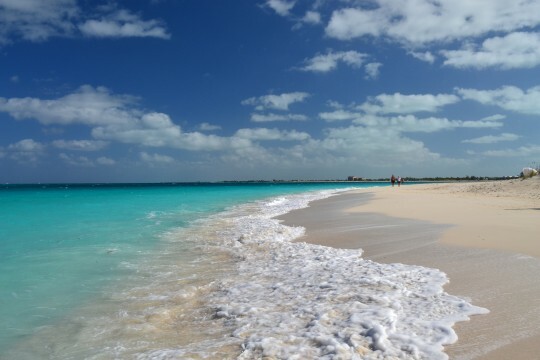 Grace Bay Beach is located in Providenciales, the most populated of the Turks and Caicos Islands. Even though Grace Bay is ranked as one of the top five beaches in the world, it’s not unusual to find yourself walking alone. On this day, our Travel Dreams photographer found this baby resting comfortably on a silky-smooth stretch of sand. Truth be told, the baby’s parents weren’t teaching the infant a lesson in early ocean survival skills. They were preparing for an excursion on an aptly named boat called Maximum Chill. Over the stretch of about 15 minutes, Grace Bay delivered photos that offered an ocean’s worth of captions to accompany the vivid images. 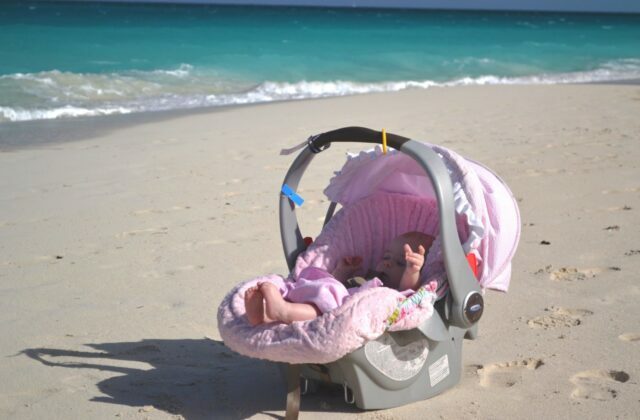 The baby, calmly oblivious to her eventual journey on the Caribbean Sea, graciously agreed to headlining this snapshot of life on Grace Bay. Next time you’re on the beach, and especially if you’re on Grace Bay Beach, just absorb what’s happening. Baby, you won’t be disappointed!